Population: According to the U.S. Census, one of every two babies born today in the U.S. is Hispanic. We are currently 18% (57 million) of the population – that’s almost one of every 5 people! – and 25% of Americans under 18 years of age are Hispanic. So it’s no surprise that our buying power will be a whopping $1.7 trillion by 2020, based on projections by the Selig Center for Economic Growth. The University of Dallas announced a partnership between the Satish & Yasmin Gupta College of Business and Prospanica — The Association of Hispanic Professionals. 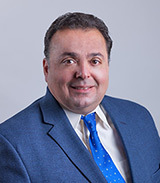 The new partnership aims to further the Gupta College of Business’ mission to prepare students in a wide variety of management specialties, serving a range of industries. 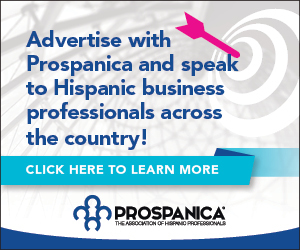 “Prospanica’s commitment to empowering Hispanic business professionals to achieve their full potential aligns with our mission to prepare our students to become principled and moral leaders,” said Gupta College of Business Dean Brett J. L. Landry. “This partnership is a natural fit, and we look forward to welcoming Prospanica’s members into our classrooms." The strategic partnership Prospanica and National Black MBA Association (NBMBAA) co-present the 2017 Annual Conference & Exposition is leading up to an amazing event this September in Philadelphia. Don't miss out! Effective leadership requires continuous self-evaluation and professional development to remain a peak performer who can harvest creativity in ways that positively impact the bottom line. Do you have what it takes to be a great leader? Be at the helm of business leadership by attending our 2017 Conference & Career Exposition presented by NBMBAA and Prospanica. 2017 National Black MBA Case Competition® in Collaboration with Prospanica® provides Undergraduate and Graduate minority business students from the nation’s leading colleges and universities to compete for top ranking scholarships and employment opportunities! Teams of up to three (3) undergraduate or graduate business students and an alternate are given one (1) month to analyze a complex business case, demonstrate their problem-solving skills; and present their findings before a panel of senior-level executives from leading corporations and academic institutions from across the country. Registration Deadline is August 1, but space is filling quickly, so act today! 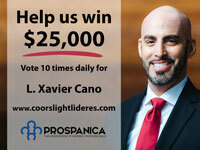 Our very own, L. Xavier Cano, has been selected as one of the finalists for the Coors Light Líderes program! Since 2006, the Coors Light Líderes program has supported, honored and highlighted up-and-coming Latino leaders for their achievements, vision, and commitment to reach their aspirations and help their community prosper. We ask our Prospanica family to vote for Xavier 10 times per day until August 18, 2017. At the end of the voting period, if Xavier has the most votes, Prospanica will receive $25K to continue offering educational, professional development, and leadership programs across the country. July Question: Why go to Conference in September? Go to www.prospanicaconference.org to register for the 2017 Power of Performance Conference: Leadership at the Next Level. 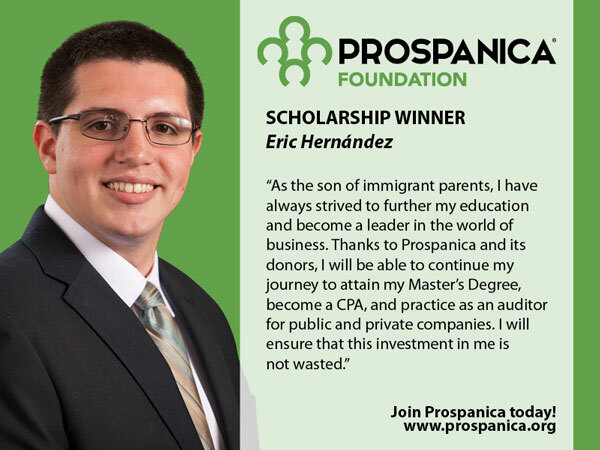 It’s time to celebrate Prospanica’s 2017 Scholarship Winners! We asked them to share with us their stories, aspirations and passions. The new "On a Lighter Note" section interviews leaders with questions that reveal their personalities in a less formal way. 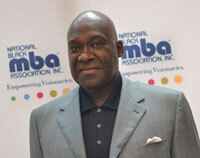 For this issue, we delve into five questions with National Black MBA Association President and CEO Jesse Tyson. Question 1: Most people’s careers are basically a series of opportunities or paths you need to choose from. And sometimes, you may be left wondering what if I took the other path. Looking back is there a point in your career you’d like to go back to and see where that path would have taken you just out of curiosity? JT: That's an interesting question but my short answer is "no". Careers typically have staggered starting points and we must determine for ourselves how hard we need to train to finish the race with those who may have gotten a head start on us. 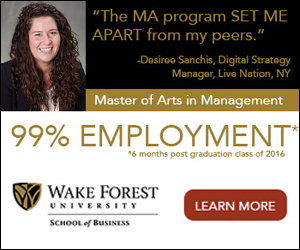 Have something for one of our departments? Send your submissions to us.